Do you want to listen to your favorite songs with the best in class sound quality? Do you like to enjoy a high quality, audiophile DAC on your Raspberry Pi or any other SoCs? Or are you thinking about an FPGA DSP project, e.g. XynergyXS, CmodS6 and you need an analogue sound output? 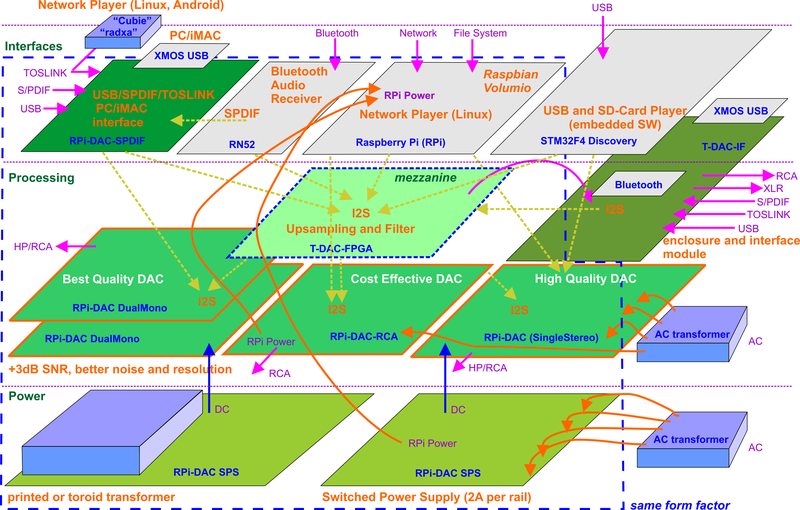 Here is the solution: T-DAC, RPi-DAC. RPi-DAC-RCA, RPi-DAC-RCAplus is a cost-effective and option rich version of the HifiBerry used with the Raspberry Pi B and Raspberry Pi B+. Start with it and upgrade any time to higher audio quality. There is also a SPDIF/TOSLINK/XMOS-USB module available which makes it possible to use RPi-DAC on an iMAC or a Cubox (Cubie). It is intended to be used on an XynergyXS FPGA board (with Xilinx FPGA, STM32 F4, DDR memory, SD card) in order to develop a standalone sound processing solution and HQ USB Sound Card. The option to use a Cmod S6, Xilinx Spartan 6 FPGA for audio filtering is available. There is an interface module to put all together in an enclosure, with full balanced XLR out, RCA out and several input options. The T-DAC, RPi-DAC can be extended by a wireless RN52 Bluetooth module (via I2S or S/PDIF). T-DAC and RPi-DAC makes use of SMD circuits and components in order to realize a small footprint. There is also a Dual-Mono configuration with improved SNR parameter. 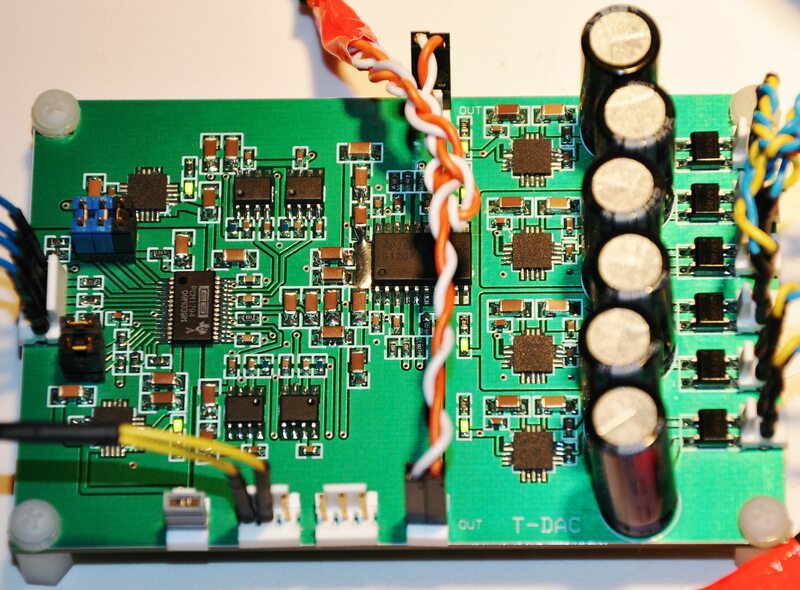 Almost all modules have an onboard rectification so that a simple low voltage AC input (just transformer) can be used.